Do you or your colleagues need a boost to get moving this spring? The President’s Council on Fitness, Sports, and Nutrition has you covered! Operating with the Twitter hashtag #moveinmay, the President’s Council is promoting May as National Physical Fitness and Sports Month, complete with a playbook on how to get moving and stay active. 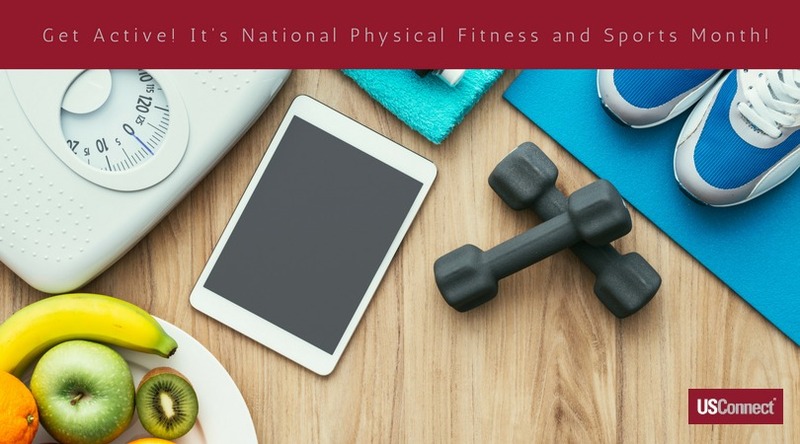 National Physical Fitness and Sports Month in May is not a new event; it has actually been observed since 1983, when President Reagan urged “individuals and families to use this occasion to renew their commitments to make regular physical activity an integral part of their lives.” In 2017, National Physical Fitness and Sports Month is still going strong with a slew of programs and activities to encourage healthy, active lifestyles. In the last three decades, technology has changed our lives, both for better and for worse. On the one hand (literally), the accessibility of technology has given many Americans a screen addiction, making us virtual slaves to virtual reality. However, technology has also positively transformed some aspects of physical fitness, especially in the area of tracking and recording, as well as accessing helpful information and interactive guidance. Vegetables: Log at least 3 vegetables per week. Fruit: Log at least 3 whole fruits per week. Grains: Log at least 3 whole grain foods per week. Dairy: Log at least 3 low-fat or fat-free dairy items per week. Protein Foods: Log at least 3 lean protein foods or seafood items per week. Those who complete the PALA+ challenge can download an award certificate from Fitness.gov. This ready-made challenge is a great way to bring colleagues together to work toward a healthier lifestyle, so they can get out there and #moveinmay! Sports Drinks: Necessary Evil or Just Evil? Go to any youth sporting event, and you’ll be blinded by the display of brightly-colored sports drinks. 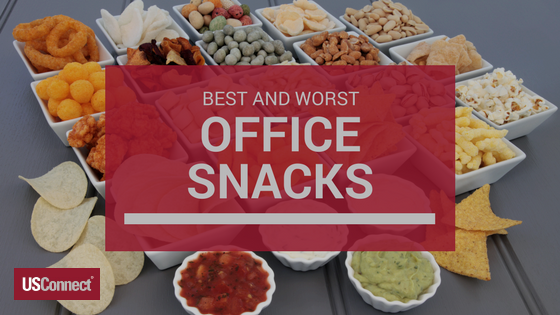 You can usually see a similar array at your local gym and, increasingly, in your office vending machine. But are these drinks really appropriate for an office setting? In the United States, the sports drink industry was born at the University of Florida (UF) in 1965. The Gator football coach noticed that many of the team’s players lost weight, suffered from heat stroke, and didn’t urinate during games and practices. The director of the UF College of Medicine’s renal and electrolyte division knew that when the players perspired during practice, they were losing not just fluids, but also valuable electrolytes: minerals in the body that regulate important functions like hydration, muscle function, and pH level. The doctors and coaches teamed up to create a substance that would replace the fluids, carbohydrates, and electrolytes that the players lost on the field. They started with a simple solution of water, sugar, and salt, but it apparently tasted so bad that it was undrinkable. According to legend, the wife of the lead doctor recommended adding lemon juice to the concoction, and Gatorade was born. Since Gatorade’s humble beginnings on a UF football field, sports drinks have grown into a billion-dollar industry. Nationally, people are getting the message that soda, both diet and regular, is very unhealthy. Soft drink sales continue to decline, but the consumption of sports drinks continues to rise every year. In 2014, per-capita sports drink consumption was 4.5 gallons in the United States! However, replacing soft drinks with sports drinks does not provide a healthier alternative despite the marketing of sports drinks as being part of an active lifestyle. 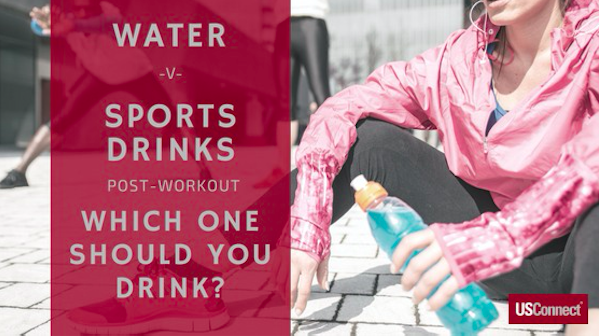 What many people fail to realize is that sports drinks are formulated specifically for people exercising for more than an hour and/or people exercising in extremely hot weather. Otherwise, there is no need to fill the body with the extra sugars and salt of sports drinks. In fact, the US Office of Disease Prevention and Health Promotion (ODPHP) warns that the added sugars of beverages account for almost half (47%) of all added sugars consumed by the U.S. population. When in doubt, reach for a water: your body will thank you.